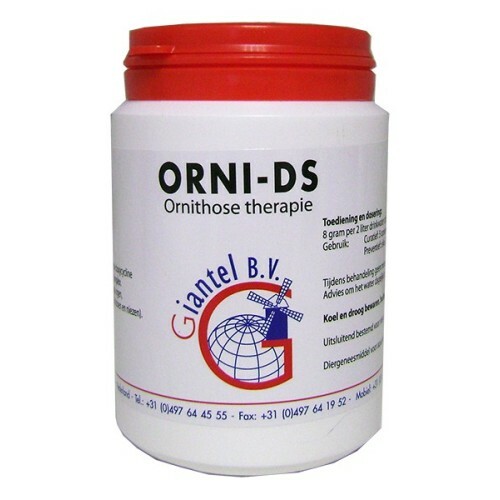 Orni - DS by Giantel is against ornithosis and diseases of the upper airways. 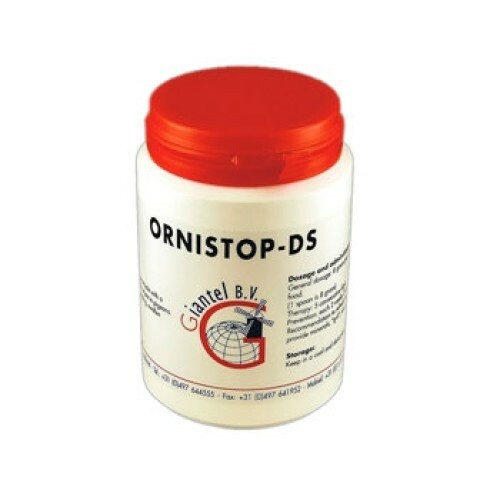 * Ornistop DS 100 gr is indicated for the treatment of ornithosis complex in racing pigeons. * General dose: 8 gram per 2 l of drinking water (1 spoon = 8 gram). * Treatment: during 5 consecutive days. Don’t give grit, minerals and calcium during treatment.